WBIX # 263 will be uploaded in April 2018. This site is dedicated to the preservation and dissemination of information about Bix Beiderbecke, the musical genius from Davenport, Iowa. Annotated lists of books, articles, video tapes, audio tapes, recordings, and related items are provided. 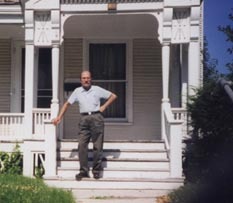 There are five satellite sites: two for images, one for WBIX, the virtual radio station devoted to Bix, one for Jim Grover's Bix Radio Program, and one for the Bix discography. In addition, there is a forum where topics related to Bix are discussed. Links to these sites are provided on the left-hand side column. I hope that this site will become the most comprehensive primary reference work of available resources about Bix. I will need the help of my fellow Bixophiles to add to and correct the information that I provide. 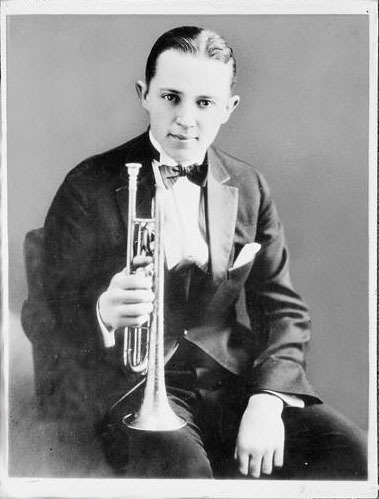 The highlights of the year for Bixophiles are the Bix Beiderbecke Memorial Jazz Festival which takes place during August in Davenport, Iowa, and the Tribute to Bix Beiderbecke which takes place in Racine, Wisconsin on the weekend nearest March 10 (Bix's birthday). Jazz bands, visitors and Bixophiles from all over the world gather to celebrate Bix's musical genius. 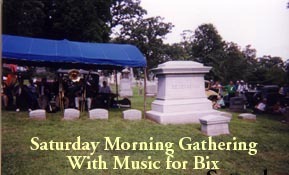 Perhaps, to a true Bix admirer, the most significant and poignant event of the Festival is the Saturday morning visit to Bix's grave site in Oakdale Cemetery. Musicians and fans gather to honor Bix's memory and play the music he made famous. The help and advice of Philip Colston, Phil Evans, Frank Manera, Tom Pletcher, and Bill Utter are gratefully acknowledged. Helpful and important suggestions from Scott Alexander, John Howard, Phil Pospychala, and Trevor Rippingale have been incorporated and are enormously appreciated.Last, but not least, I want to express my special gratitude to Enrico Borsetti, Lino Patruno and Richard M. Sudhalter for their detailed reading of the entire site, their additions and corrections, and their very thoughtful comments. 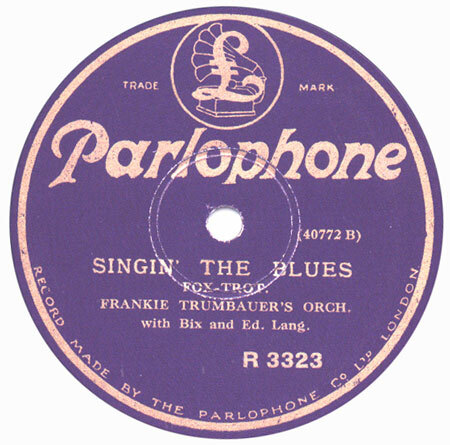 The images of the record labels of Copenhagen (Gennett), Davenport Blues (Victor) and In A Mist (Okeh) are from the web site of the Wolverine Antique Music Society through the courtesy of Gus Frederick. 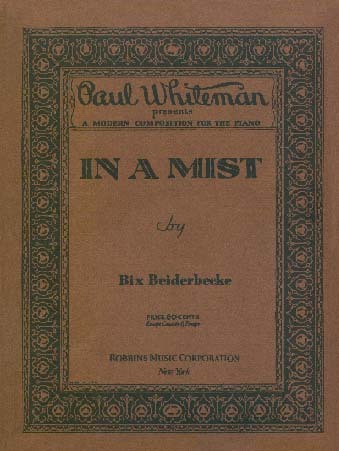 The midi file of In A Mist was created by the late John Roach and was downloaded from his collection of midi files. All original text, image, and sound files in the Bixography and satellite web sites are protected by copyright laws. Material that is not original is included under Fair Use regulations. If you are the owner of material posted on this site without your authorization, contact the webmaster. Fair use of any material posted in the Bixography and satellite web sites is authorized, provided the user gives a specific reference to the Bixography.